As UX designers, our job is to create the best possible experiences for our users or customers. … You must deeply understand, respect, and have compassion for [them]. Since I’ve worked as a UX designer for 25 years—mostly within technology companies—I thought it would be helpful to designers who are new to the profession if I shared some of my thoughts about UX design. So, in this article, I’ll offer some advice about working in User Experience to UX designers who are just beginning their careers. The most important piece of advice I can give you is to cultivate empathy. As UX designers, our job is to create the best possible experiences for our users or customers. So get out of your own head. Realize that people come to the application or Web site you’ve designed to solve a problem. They don’t come to admire an application’s or Web site’s great usability and design. So, please, put your ego aside. You must deeply understand, respect, and have compassion for your users or customers. Creating a user experience encompasses many disciplines …. Don’t feel like you need to know everything right away. Just start somewhere. Over time, you will develop a familiarity with multiple disciplines in User Experience and will probably gravitate toward one or two of them. I have never subscribed to becoming a specialist. Insects are specialists. Neither do I consider myself a generalist—a word that tends to imply mediocrity. You know, the “jack of all trades, but master of none.” I’m certainly not a master of all trades. Rather, there are multiple design disciplines I’ve worked hard to cultivate and refine over the years. And, after a while, you’ll do the same. For a UX designer, selling your work is part of the job. When you present your designs, it’s important to communicate how they solve the business’s objectives. Take the time to learn about your client’s or company’s top business priorities. Learn about sales and marketing, cash flow, revenue versus profit—whatever matters to the company for which you work. Once you’ve gained a working knowledge of business basics, you’ll be able to help your company be more successful. The current tech bubble aside, the goal of most businesses is to become and remain profitable. Understand how the work you do ties directly to profitability. One of the best ways to gain the respect of your leaders and peers and rise quickly in the working world is to speak publicly about your work. One of the best ways to gain the respect of your leaders and peers and rise quickly in the working world is to speak publicly about your work. As a UX designer, you must be an effective public speaker. All UX designers need to present their designs to stakeholders, but you can go a step beyond that and do brown-bag presentations at work or speak at a conference. I am an introvert by nature, so public speaking has never been an easy thing for me. In fact, I avoid it like the plague. I really should force myself to do more of it because, when I’ve had to do it, I’ve always found it very rewarding. (My fears weren’t as crippling as I’d believed.) If speaking publicly is really a non-starter for you, write regularly about your work—or design in general—whether through your own blog or for an online publication such as UXmatters. User Experience is a dynamic, ever-changing field. That’s what makes UX design so challenging and interesting. Always, continuously, and forever read to increase your knowledge. Be a sponge. Keep an open mind. I suggest using a feed reader, so every day you can quickly scan multiple publications for items of interest. I’ve listed my design-related, day-to-day reading on my mentoring blog. Go to conferences. Maybe you could even speak at one. (See above.) Always attend at least one session that’s on a topic with which you’re not familiar or are even comfortable. When I was at Intuit, we often spoke of getting outside our comfort zone to learn. It’s not an unfamiliar topic. The basic idea is that you could choose to live in your habitual comfort zone and basically cruise through life, but not learn much. In contrast, venturing into your panic zone from time to time can be helpful because it stretches you—a lot. Although this is not really a long-term strategy unless you enjoy being unhappy. Your optimal learning zone lies between these two extremes. It’s where you can gain the most benefit and growth. Try to live there as much as possible. Force yourself not to get too comfortable with the first version of a design. I can’t tell you how many times I’ve thought I’d nailed it with the first version of a design solution. But, when my team has pushed me to explore multiple design directions, I’ve almost always found them to be better than my first approach. Force yourself not to get too comfortable with the first version of a design. Make it your goal to first go broad, then narrow. Then—once you’ve had some insights and received some feedback—go broad again and, finally, go narrow once again. By definition, living in an Ivory Tower means being in “a state of privileged seclusion or separation from the facts and practicalities of the real world.” To do design right, you need to involve your stakeholders and other disciplines such as Product Management, Engineering, and QA (Quality Assurance). Granted, there are phases during the design process when it is appropriate to put on your headphones and just crank out the work, but remember that design is a collaborative process. Don’t go off into a corner by yourself, then later emerge with a finished design and, drum roll, do the big reveal. Nobody who’s involved in a project should ever be surprised when you present your design directions. Perfection is boring. It doesn’t exist—and even if it did, my idea of what it would be would undoubtedly be different from yours. Instead, adopt a launch-and-learn mindset. This requires a certain degree of confidence—even fearlessness—but if you have the right mechanisms in place for gathering data—whether usability testing, analytics, or A/B testing—then iterate, you’ll always be moving the ball forward and improving your designs. Don’t walk around like you’re the arbiter of All That Is Visual. Have an opinion—after all, you are a UX professional, so you should have a point of view on design—but be humble. Realize that you don’t have all the answers and readily admit it. Be flexible. Sometimes a suggestion from Engineering—though maybe it’s not quite as pretty—could be built in half the time and still achieve the desired experience outcome without sacrificing taste or usability. Be helpful. Go above and beyond what your job description specifies and lend a hand with that banner ad or jump in and help QA test that feature! 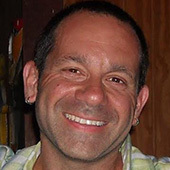 Get UX-Design Mentoring—Warren Croce has recently begun offering free, in-person, UX-design mentoring to small groups in Watertown, Massachusetts. If you’re in the Boston area and would like to avail yourself of his expertise, visit his Web site for more information.